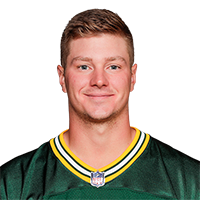 Published: Aug. 30, 2018 at 09:42 p.m.
Green Bay Packers quarterback Tim Boyle finds wide open Green Bay Packers tight end Robert Tonyan for a 1-yard touchdown pass. Published: Aug. 9, 2018 at 11:21 p.m.
Green Bay Packers wide receiver Jake Kumerow receives 52-yard pass from Green Bay Packers quarterback Tim Boyle for late-game touchdown. Published: Aug. 9, 2018 at 11:04 p.m.
Green Bay Packers wide receiver Marquez Valdes-Scantling makes a spectacular catch in the back of the end zone to lead the Green Bay Packers 24-10.